The American Creswick stands today as a unique link with Victoria’s gracious and colourful history. Providing a tradition of hospitality forged in the days off gold and glory while striving to Always Meet Every Request Immediately, Courteously And Notably for over 160 years. The American Creswick located 20 minutes from both Ballarat and Daylesford, just over an hour from Melbourne via road and rail, 2 minutes from RACV Goldfields Resort and Creswick Woollen Mills. We offer our patrons a warm, friendly atmosphere with provate dining rooms as well as our delicious fare throughout the American. We cater for the adventurer/traveller and offer beautiful accommodation with single, twin and double rooms available, ideally suited for cyclists, walkers or small groups from 4 to 10. 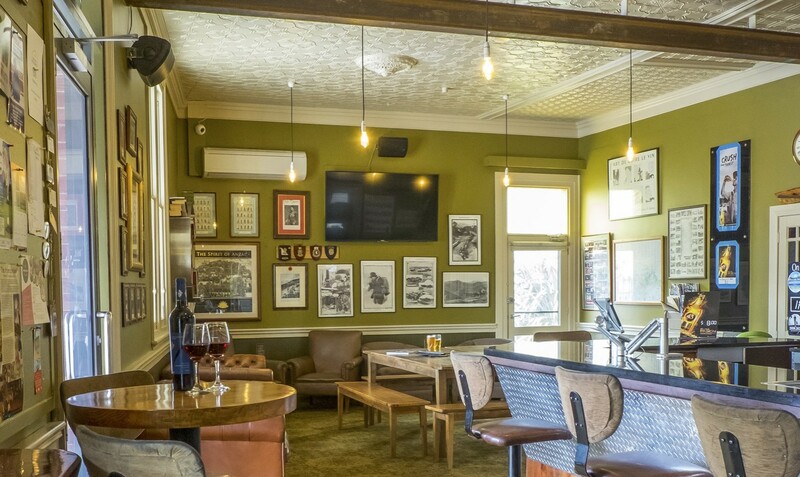 Come and enjoy the spirit, fun and History that is The American Creswick... "The Heart of Creswick" and the gateway to the Central Highlands and Spa Country of Victoria since the 1850's. With great food, fourteen beer and cider taps, eclectic wine list, good company and interesting spaces the American is a developing destination. Today Creswick is still a farming community with extensive forestry operations and is most famous for gold panning, walking, cycling and fishing. It is also recognised as the perfect base from which to explore the many central highlands villages and countryside. Albert Street ( Midland Highway ) still boasts many original Gold Rush Buildings, however our hotel is the oldest original continually operating business, thought also to be the oldest licensed premises in the area.